The Reader Bee: My October 2017 TBR & Most Anticipated Releases!! 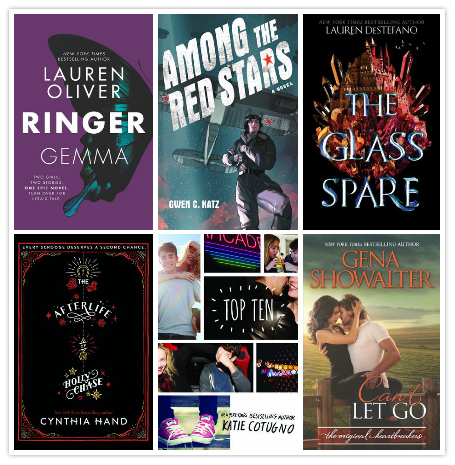 My October 2017 TBR & Most Anticipated Releases!! October has finally arrived, and that makes me SO happy! In case you didn't already know, it's one of my most favorite months of the year. like Fall here in the South. because it includes both my Oct TBR AND part of my Fall TBR. In October I'm planning to continue my re-read of the Harry Potter series with Harry Potter and the Order of the Phoenix. I'm also re-reading Like a River Glorious by Rae Carson and The Retribution of Mara Dyer by Michelle Hodkin! I'm also planning to start a re-read of The Raven Cycle series by Maggie Stiefvater this month as well! I read the series way back when, but never had a chance to read The Raven King. 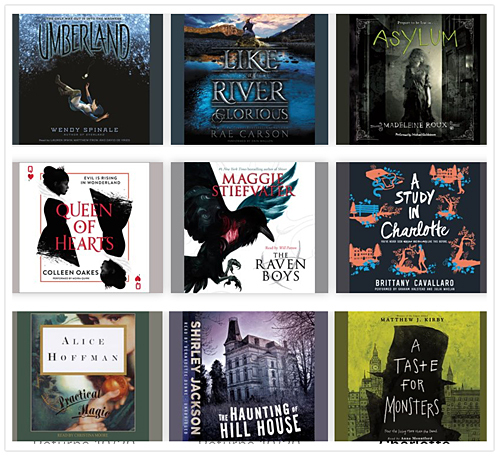 I found all of the audiobooks on Hoopla, and I'm super excited to get back into the story, and, hopefully finish it this time! I'll also be reading The Blood of Olympus, the last book in the Heroes of Olympus by Rick Riordan. I'm going to be so sad to see this series end, but I'm also excited to move on to the next series by Rick. I hadn't originally intended to read Siege and Storm by Leigh Bardugo , but I enjoyed Shadow and Bone so much, I really must continue with the series! Ally by Anna Banks and Forest of a Thousand Lanterns by Julie C. Dao are two review books that I'm excited to start this month. *Anna Dressed in Blood* by Kendare Blake is our October pick for #AlltheBooksReadalong! If you're on Instagram, feel free to join us! I also have the above e-ARC's to read as well! 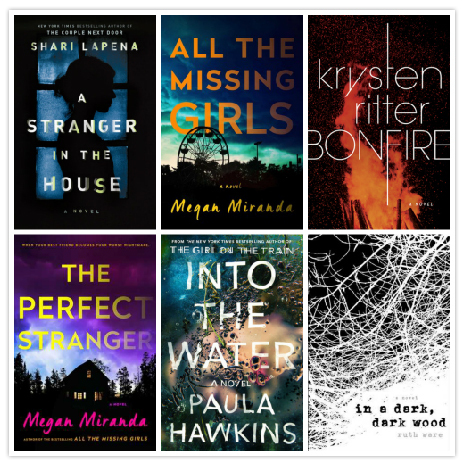 And the above books are part of my Fall TBR! AND... I a few audiobooks as well. Can we now please talk about new releases?? I have these three books pre-ordered, and I can't wait for them to arrive!! Wow, so this does not look as intimidating in my spreadsheet as it does in this post. Haha! If you made it this far, you're really awesome! Wish my luck that I will actually get through most of the books that I want to read. I know I'm going to need it! 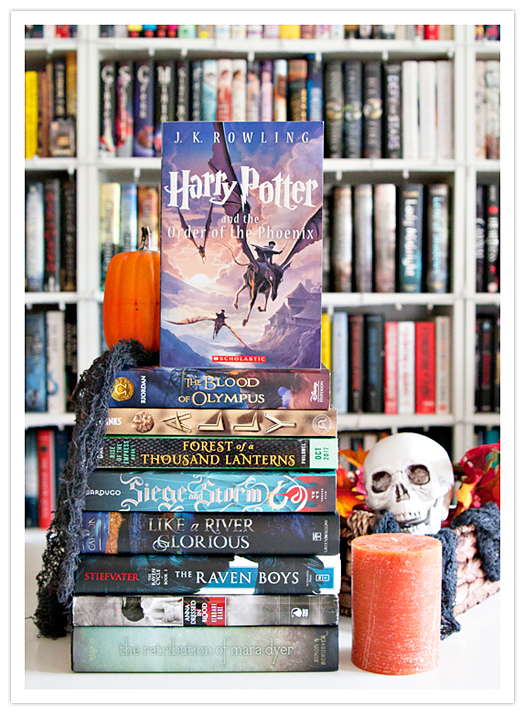 Now tell me, what books are on YOUR October TBR?? 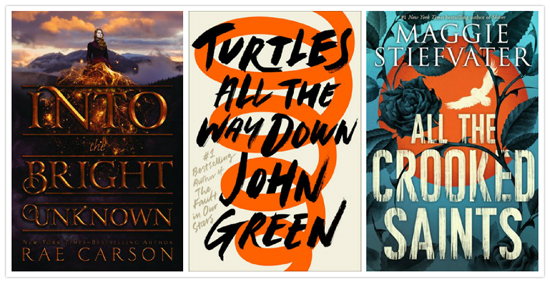 And, what book(s) are you MOST excited to read?? There are so many awesome books coming out this Autumn -it seems my most waiting books are always released around this time. I can't wait to get my hands on "A Forest of a Thousand Lanterns" and "All the Crooked Saints". October 2017 Wrap Up & Book Haul! !